So here is my first collaboration with a sponsor and I am so excited for this giveaway! RIRE will be giving away $30 gift certificate and it is open to everyone worldwide! 1. Follow this blog on Google Friend Connect on the right side. 2. Like RIRE's page on facebook here and Blow a Rainbow's page here. 3. Comment below your Name, E-mail, Facebook username and RIRE's item that you like most. 1. Follow RIRE on Twitter here. 2. 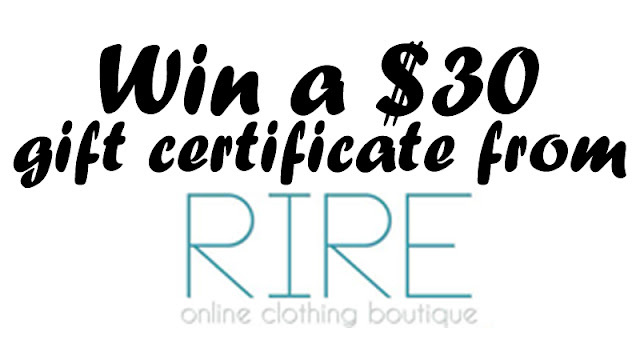 TWEET this: " Win a $30 gift certificate from @RireBoutique by visiting http://blowarainbow.blogspot.com. It is open worldwide! " 3. Comment below your Name, E-mail, Twitter username, Tweet URL and RIRE's item that you like most. 1.Follow this blog on Bloglovin' by clicking the "Bloglovin" icon on the right side. 2. 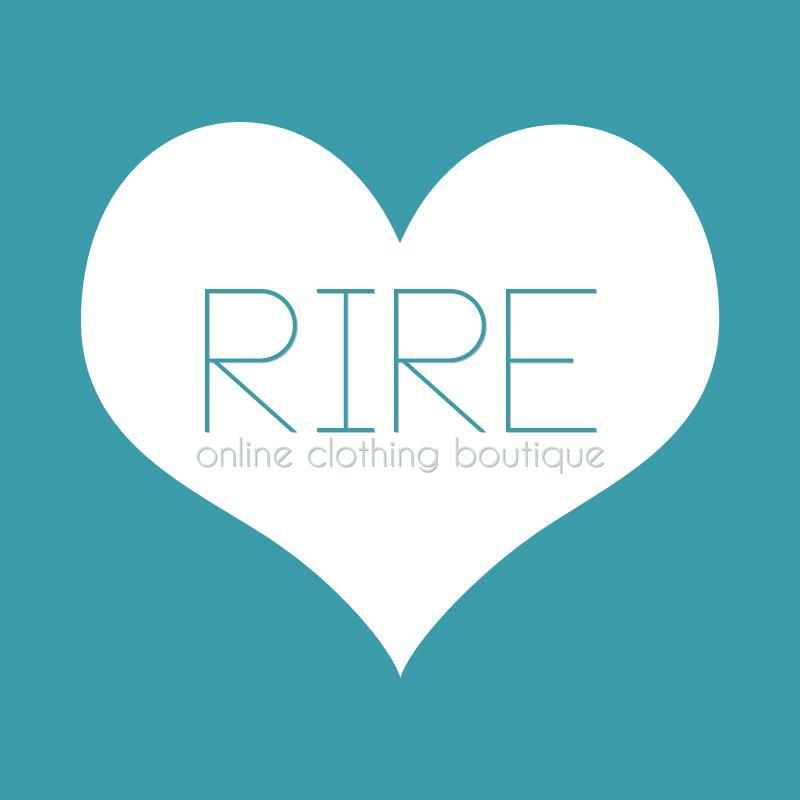 Post this as your facebook status: "Visit http://blowarainbow.blogspot.com to win a $30 gift certificate from RIRE boutique! It is open worldwide!". Make your post public so we can check it. 3. Comment below your Name, E-mail, Facebook username, Status URL and RIRE's item that you like most. PS: This giveaway will end on July 9, 2012! I've followed your blog now on Google friend connect ^^ Liked your Facebook too!! I like the left one. Just found your blog. I love your blog contents and photos. You have great style. Following you now. Keep in touch. I have a $100 gift card giveaway Come check it out. I love the left one. Nice giveaway but I cannot participate due to the italian legislation! i love the left one. The blue skirt looks adorable! Good to those who enter! I LIKE the blue skirt!!! fav RIRE item : the blue skirt. it look so nice and amazing. Great giveaway, & a lovely blog you have, so pleased I found it! 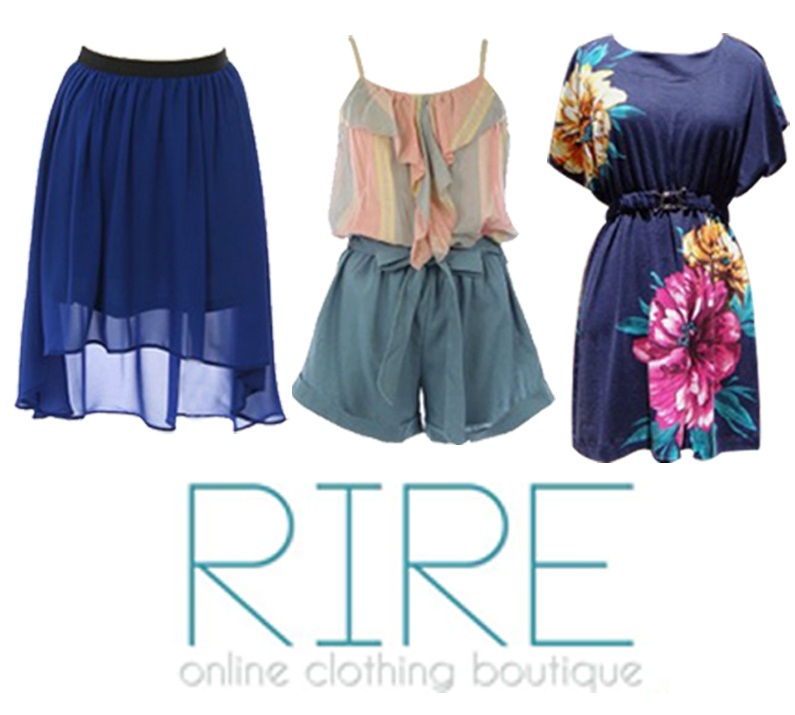 Favorite RIRE item: The outfit in the middle! I so want to rock it. OMG thank you for visiting my blog and inviting me. Hi I would love for you to check out my blog and leave any comments. Would love for you to check out my blog and follow it if you like it. Hi, I am going to check out your blog now, I hope you can do the same. I would love to keep in touch with you. Favourite RIRE item: The skirt looks totesamaze!! Thank you! Amazing giveaway and blog! Facebook name: NhuDiem Renee, Name: NhuDiem R. Pham, Email: reneepham@yahoo.com , My favorite would have to be the early bird blouse! Thank you and I'm keeping my fingers crossed! I liked RIRE on Facebook. I'm following RIRE on Twitter. I liked Blow a Rainbow on Facebook. Fav. RIRE item: Love that Birds of a Feather top! I love the mint dress! Count me in for the giveaway :) Completed steps 1, 2, 3! Thanks for inviting me to join! My fav item is the Jaded Beauty dress! I love the time brings roses dress.i wish i can win that giftcard! i really want to shop on rire. I hope for you on my blog. I love all the items and I would love it to win the gift certificate. Great Site and followed you on GFC. cute blog! Now I follow you, I hope we will follow each other!! Thank you for your comment dear! Now I follow you! I like the last one on the right! the blue skirt is my favourite! Hey there! Thank you for your lovely comment on my blog. I really like your blog. Would you like to follow each other? I'd love to. Thank you so much for your comment really appreciate it ! blog kamu bagus ya, kamu juga cakep and very nice stuff...I love it, really! Hii.. Thank you for your visit..
the giveaway was ended! i wasn't able to read it onwards! hahahah! me is stupid! hope to join with your future giveaways though! DIY: Stud your Ballet Flats!